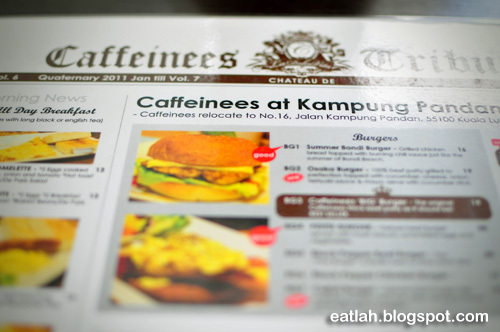 Caffeinees @ Kampung Pandan, KL | where and what to eat lah? 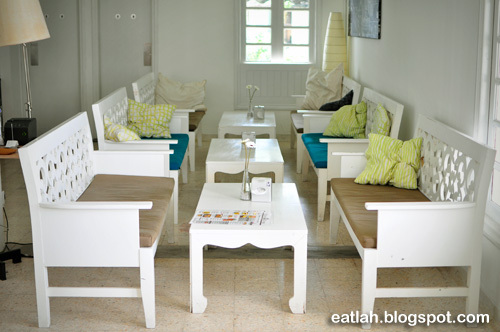 Chateau De Caffeinees is a popular cafe-restaurant housed on a quaint and cosy one-storey garden bungalow located in Kampung Pandan, Kuala Lumpur. 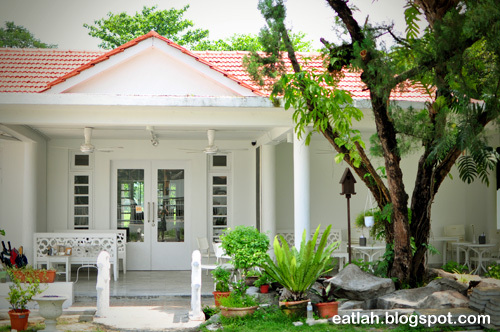 Having its own plot of bungalow land, there is ample parking space with tranquil garden settings and a backyard overlooking the lush Royal Selangor golf course. Started since 2007 at Taman Ampang Hilir, then relocated to a semi-detached house off Jalan Damai (opposite of Raffles Design Institute) in 2010 and finally to a bigger piece of land at Kg. Pandan in 2011. 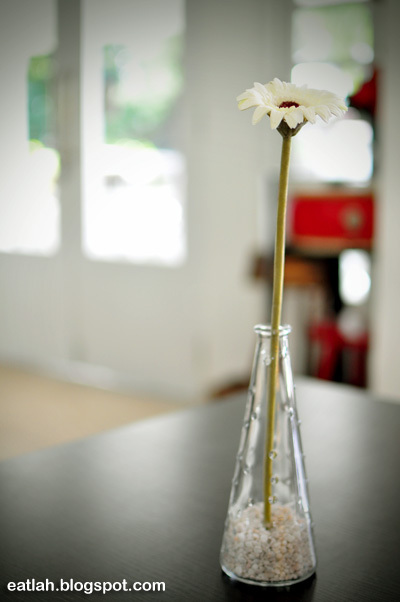 Caffeinees commands quite a following of crowd with their cosy and chic interiors. With a colorful mix of customers ranging from families, to groups of friends chilling out with shishas, office workers joking over a couple of beers and business people meeting over a cup of coffee, Caffeinees is definitely one of the place to hangout till 3am! From breakfast to supper, their menus comprises of local and western cuisines to satiate the tastes of a diverse customer set. 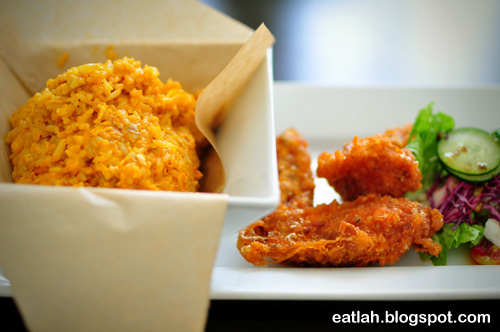 Caffeinees baked rice (RM 17 / RM 23 for lunch set) served with fried chicken wings and salad. The creamy baked rice was infused with the flavors of yellowish curry powder and the fried chicken wings were well loved too. 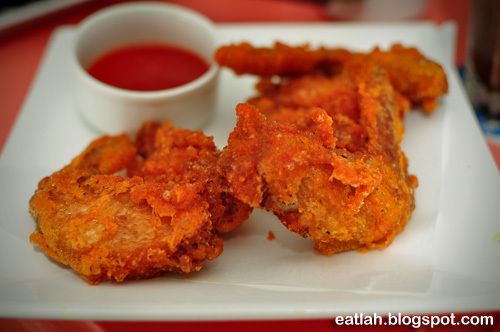 Imagine juicy chicken wings encased in a hot crispy and perfectly flavored batter. Overall, it was fairly nice with an unusual twist from the usual Hong Kong baked rice but a tad expensive. 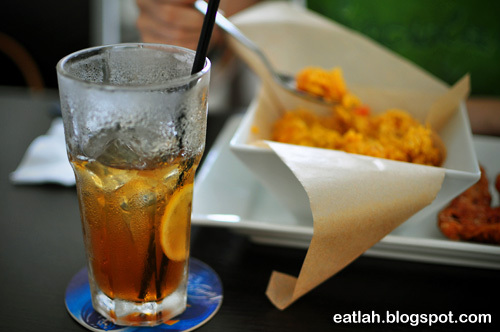 We had the baked rice lunch set (RM 23) inclusive of a drink (ice lemon tea, long black, English tea) and gelato. For gelato, they have several fanciful flavors distributed by JezRipe. We had the papaya gelato and sadly, it wasn't right - it was too cold, too hard and its natural flavor was numbed by the icy frost. 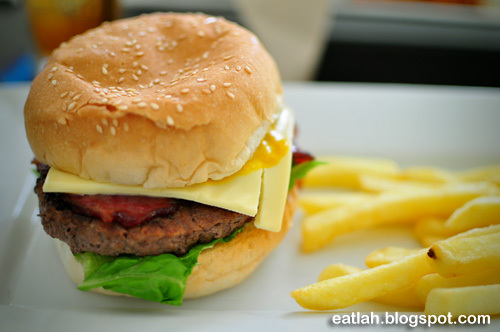 Caffeinees 'BIG' burger (RM 19), the recommended and best seller original Caffeinees thick beef patty as stated in the menu. For the price paid for, the burger wasn't really 'BIG' like the name would imply. Even the burgers at Chili's are cheaper and bigger. 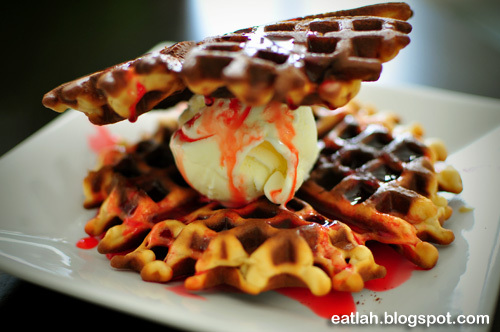 Waffle with strawberry bits and vanilla ice cream (RM ?). There weren't any strawberry bits and the waffles were overcooked, it was hard. Since the name of this place is related to coffee, we ordered a cup of latte (RM 7.50). We were expecting for some beautiful heart-shape latte art as portrayed on the menu and we ended up with a broken heart. 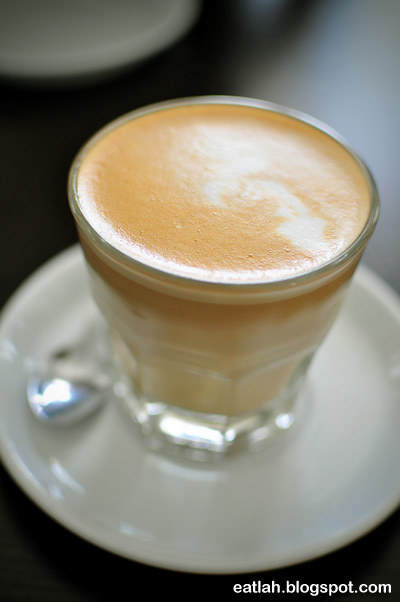 Nevertheless, the latte was smooth and comforting. It's amazing how popular Caffeinees is with everyone talking about it. Hence, we decided to give it another try. 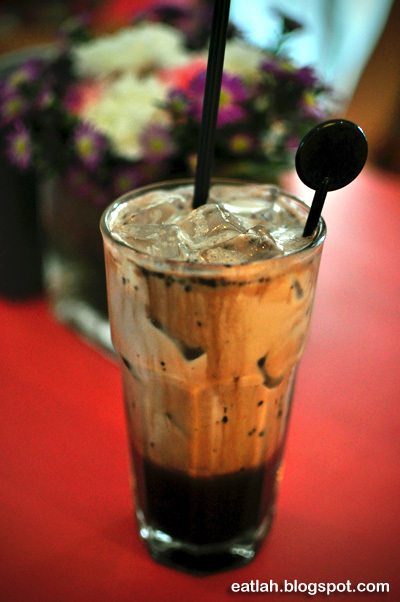 For drink, we had the ice dark chocolate (RM 8.50), it was just normal. 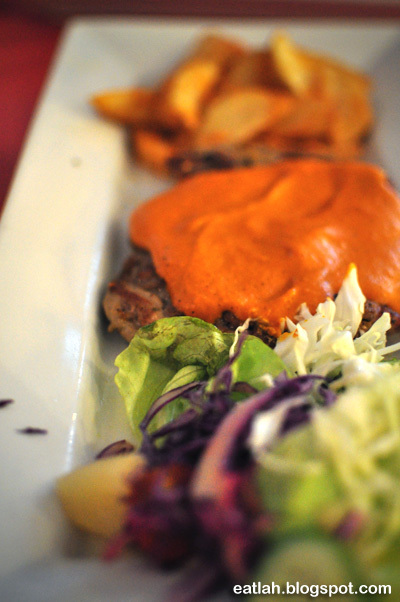 Caribbean grilled chicken (RM 20), grilled chicken chop with creamy mild spicy home specialty sauce. The grilled chicken chop was quite juicy and reasonably tender. We loved the sauce! It was a little spicy, rich and smoky with a hint of curry spices in it. 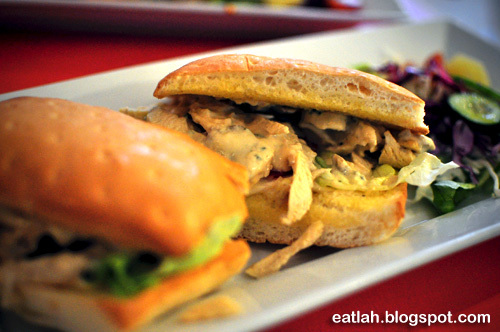 Chicken mushroom sandwich (RM 12), grilled chicken fillet and mushroom with white creamy sauce. 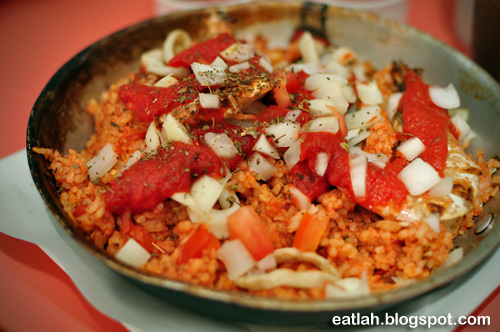 Valencia seafood rice (RM 25), Italian seafood rice cooked with sea prawns and squid. It tasted awfully bland and no where near a normal paella. 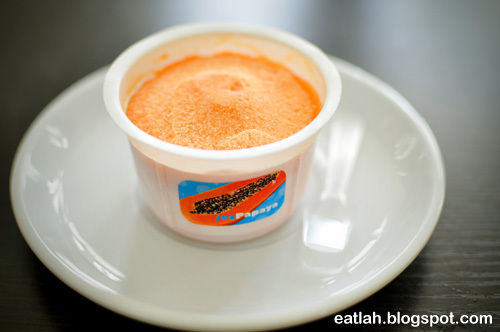 It was like mixing the rice with only pureed tomato paste and raw onions. We couldn't resist not ordering another plate of house specialty fried chicken wings (RM 12). 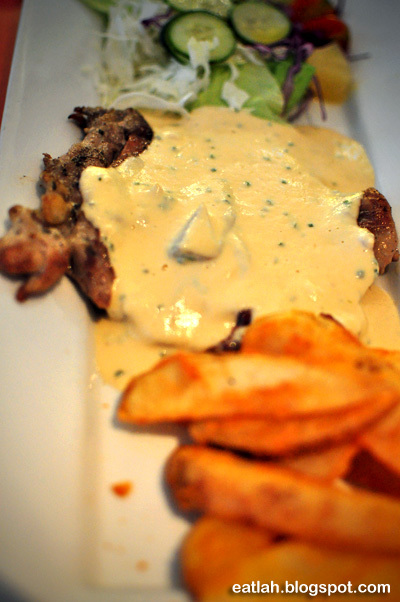 Chicken in white mushroom (RM 20 / RM 39 dinner set), grilled chicken chop with garlic mushroom sauce. It tasted okay but at a premium price. 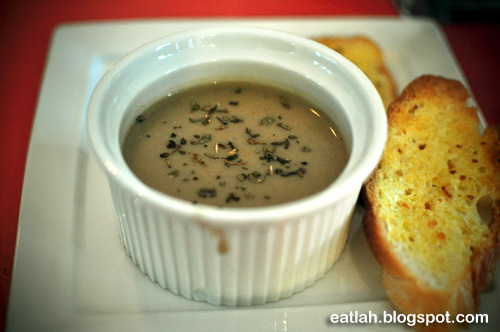 We had the dinner set for RM 39 inclusive of a mushroom soup, drink and flour-less chocolate cake. The mushroom soup was creamy and thick in consistency. 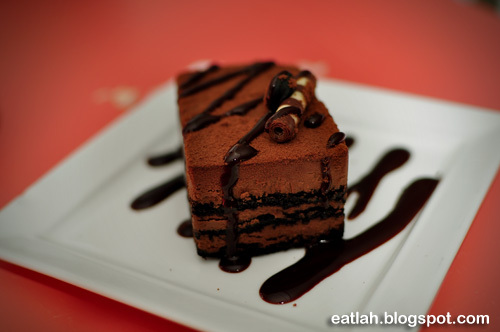 The flour-less chocolate cake, with texture slightly different from cake but rather, more dense and fudge-like. It was also a little too sweet for my liking. Since we didn't get the coffee art on our latte before, we chose the cappuccino (RM 7) this time. 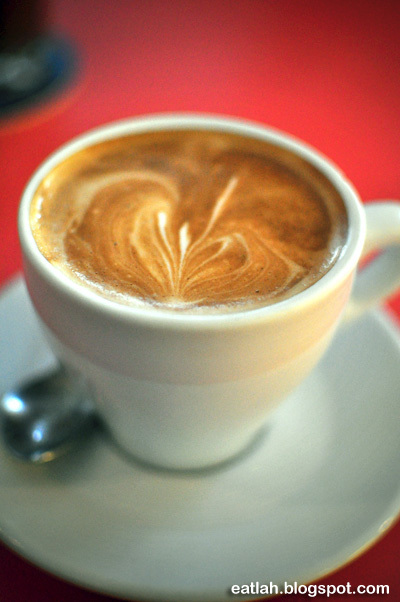 Not the perfect heart foam that we used to get, it was a half-hearted cappuccino! Verdict: Great ambiance but overpriced for mediocre food quality and sub-standard service. Nevertheless, Caffeinees is still a popular hangout place. 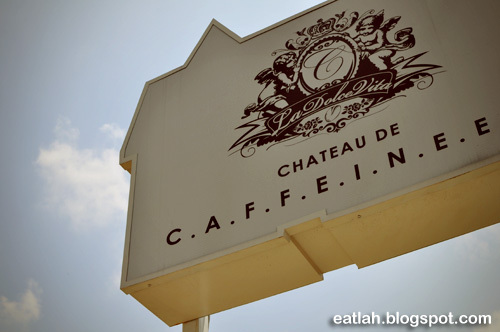 It has carved a niche for itself by operating till late wee hours in a classy ambiance. Business Hours: Opens daily from 9.30am - 3am except Fri and Sat till 4am.